I don’t know about you but I love waking up just to have breakfast. It really is my favourite meal if the day! Breakfast needn’t take forever to prepare and this is one of the quickest recipes to ensure you get plenty of your 5-a-day in. 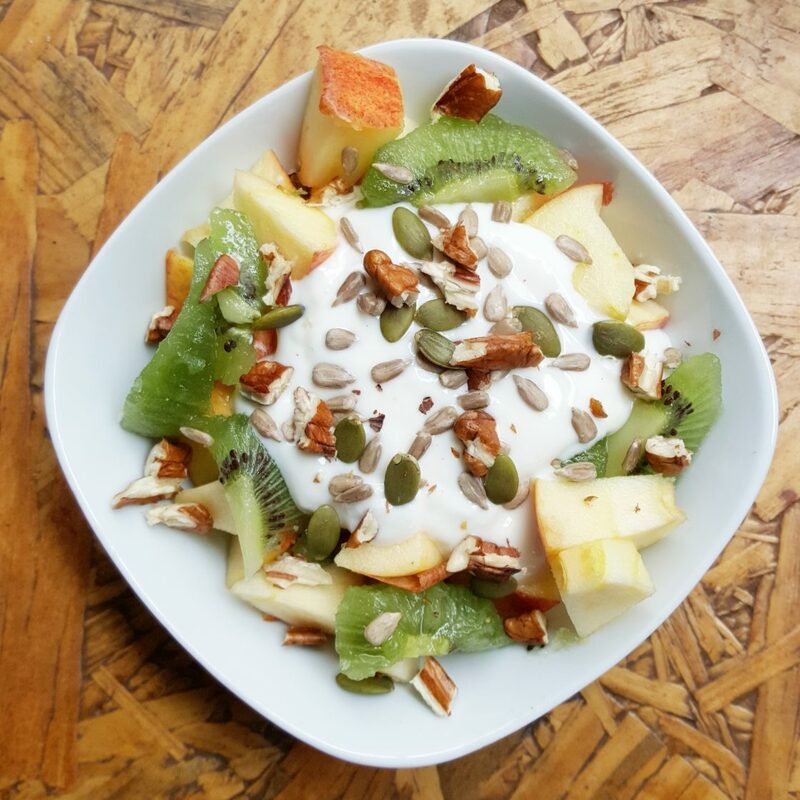 Create a colourful blend of fruit to help you kickstart your 5-a-day, yoghurt, nuts and seeds provide protein and all important essential minerals. Chop the fruit into chunks and place in a bowl. Sprinkle the seeds and nuts on top.